This holiday is tightly connected to the history of Iraq and Iraq War (2003-2011). The war began on March 20, 2003, when the coalition organized by the U.S. invaded Iraq under the pretext that the government of Iraq declined to abandon its weapons of mass destruction. Baghdad was occupied by the American forces on 9 April 2003 and that event was marked by the toppling of Hussein's Statue in Firdos Square, but it wasn't the end of the war. These events were the beginning of the guerilla war against Americans with its apogee in 2007. After May 2007 the U.S. coalition partners began to withdraw their forces from Iraq. In 2008 the U.S.-Iraq Status of Forces Agreement was signed and according to it the U.S. forces had to be completely withdrawn from all the Iraq cities by 30 June 2009, but the process lasted until 31 December 2011. Despite the war ended in 2011, Sovereignty Day is celebrated since 1 January, 2009. 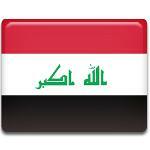 December 31, 2008, was the day when the mandate of the multinational force in Iraq expired. After that day there was no justification for foreign troops to remain in the country.